Two major museums in Tuscany, Prato’s Palazzo Pretorio and Cortona’s Museo dell’Accademia Etrusca e della Citta di Cortona, are both hosting exhibitions giving visitors an insight into the region’s Etruscan past. Both exhibitions provide for an interesting and informative day out for anyone staying in our Tuscany villas this spring. The exhibition in Prato, running from March 19 to June 30, is titled ‘The Shadow of the Etruscans: Traces of a Culture in Hills and Valleys’, and will look closely at the Etruscan people who lived north of the Arno river, near Florence, Prato, and Pistoia and in the Val di Sieve. In particular, it shines a light on the Etruscans’ views of the sacred and the afterlife, with over 30 artefacts demonstrating how they lived. These include ten bronze votive figures, which belonged to the middle classes and date back to the sixth century BC, as well as two dozen pietre fiesolane steles, which once decorated the tombs of nobles, whose images appear among the reliefs. Cortona’s exhibition examines a different aspect of Etruscan life: the language, and is titled ‘The Etruscans: Masters of Writing’, running from March 19 to July 31. It features new information and artifacts discovered during a recent find of Etruscan inscriptions close to Montpellier in France, as well as the rediscovery of the third longest Etruscan text we know of, the Tabula Cortonesis, found in Cortona. Many of the items featured in the exhibition are some of the most important examples of Etruscan writing we have today, piece by piece helping to solve the puzzle this ancient language poses. 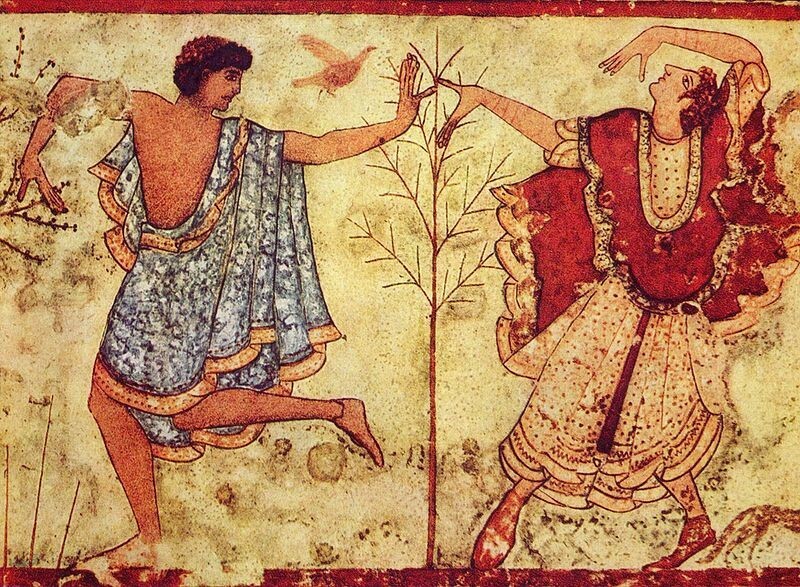 It is still difficult to study and find out about due to the scarcity of long texts, with the texts discovered usually of a commercial, legal or funerary nature, meaning they do not document the everyday language of the Etruscans.